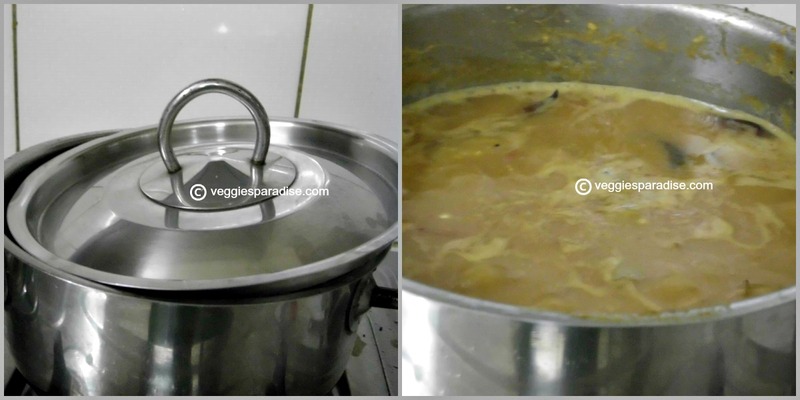 SAMBAR : Sambar is prepared by cooking lentils with vegetables , spiked with a special blend of spice powder to enhance the taste and is finally garnished with coriander leaves. 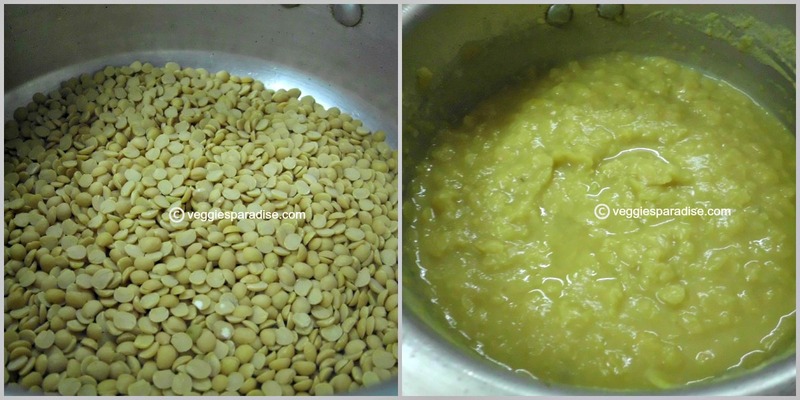 Pressure cook Thuvar dal , with sufficient water until soft . Keep it aside. Heat oil in a pan, add the mustard seeds. 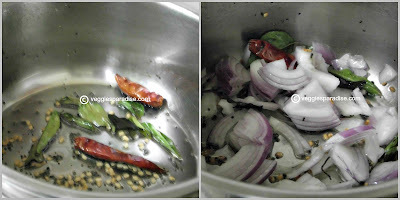 When they crackle , add the urad dal, curry leaves and red chillies. Stir for a min. Add the chopped onions and fry it until soft. 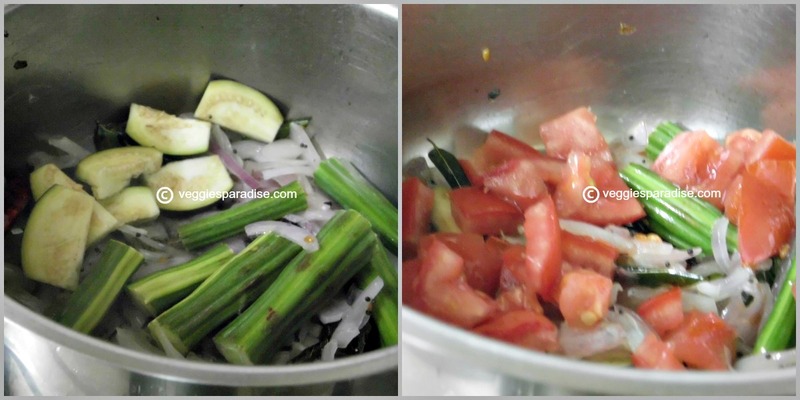 Add the drumstick pieces and Brinjal, fry them for a couple of minutes. Tip in the tomatoes. Fry for a minute. 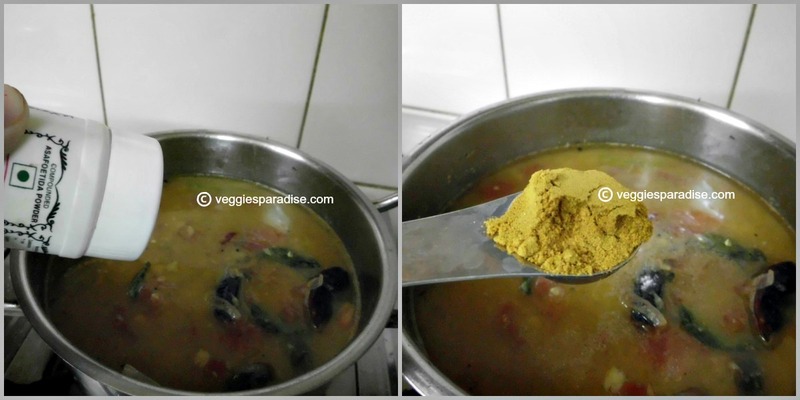 Add the tamarind extract , cooked thuvar dal and add sufficient water. 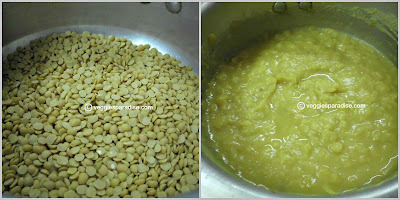 Add asafoetida, sambar powder, along with salt and mix it well. 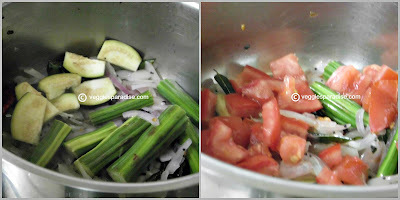 Cover and cook for a couple of minutes , until the veggies are cooked and sambar turns little thick and bubbly. Remove from heat and garnish with coriander leaves. All time comforting sambar. 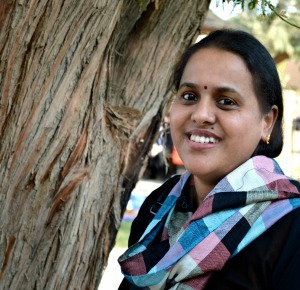 Nice pictorial Aruna! 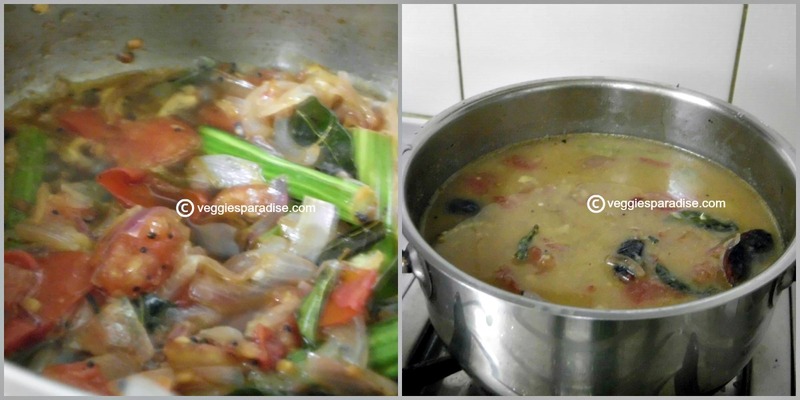 Very refreshing and yummy sambar. 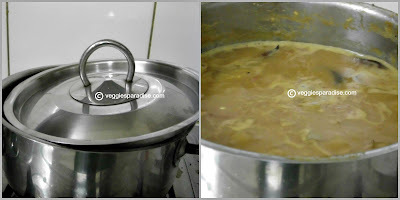 My Monthly Event - Spotlight : "Valentine's Treat"
My mom used to add drumstick to our Maharashtrain version of Sambar! This looks just delicious! 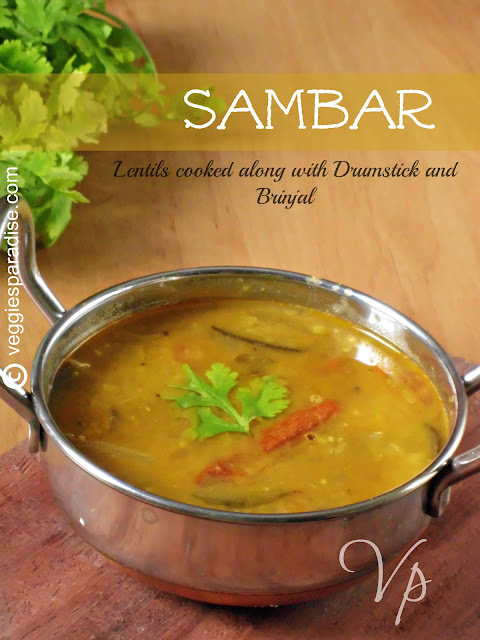 so tempting and delicious Sambhar!! Love this combo in sambar.. I wish I had that bowl with steam hot rice.. Delicious.. It is my comfort food.I love it ,nice pics. 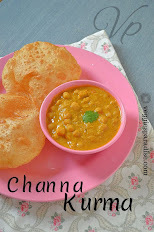 Droolworthy and seriously very tempting sambhar,my fav combo.Cant take my eyes from your clicks. Nice! Love this classic sambar! My all time fav, looks very tempting !!! wow Aruna,my fav combo...loved this sambar. This looks really delicious. 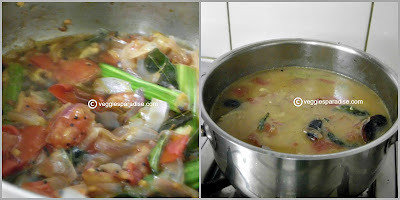 I often make the gujarati tuvar dall but not made sambhar before. I must look out for the sambhar powder next time I go to the Indian shops. I like the detailed way you have explained this recipe. Great blog. It looks awesome and this is always be my favorite! 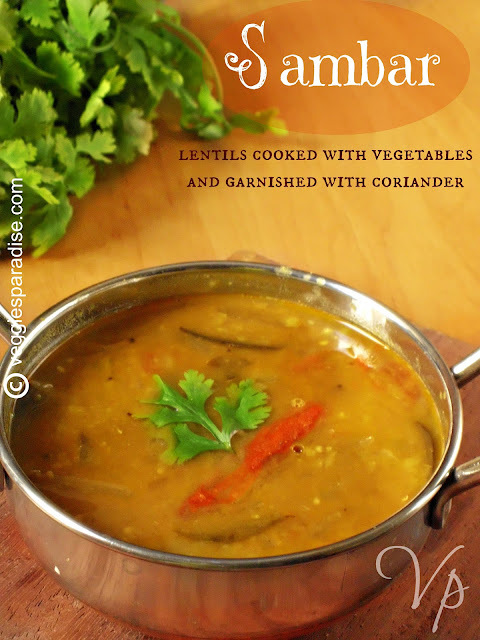 Love this combo, I used to add few mango pieces too..sambar looks yummy, nice presentation ! Drumstick and eggplant, both are something I would totally add in a sambar. Must have tasted divine. We showcase World's Best Recipes to our readers daily and currently looking to help food bloggers gain more exposure. We would like to invite you to join our community of food blogger and want to feature some of your best recipes on our website. As you can see we link the full recipe back to your site.